The USGS Coastal Change Hazards Portal provides direct access to assessments of potential storm-induced and sea-level rise coastal change vulnerabilities, long- and short-term rates of shoreline change, and probabilities of erosion during storms. Robust scientific findings on coastal change processes are a valuable resource for coastal planners and emergency managers that can be used to identify vulnerable areas that may be impacted by a variety of coastal change hazards. 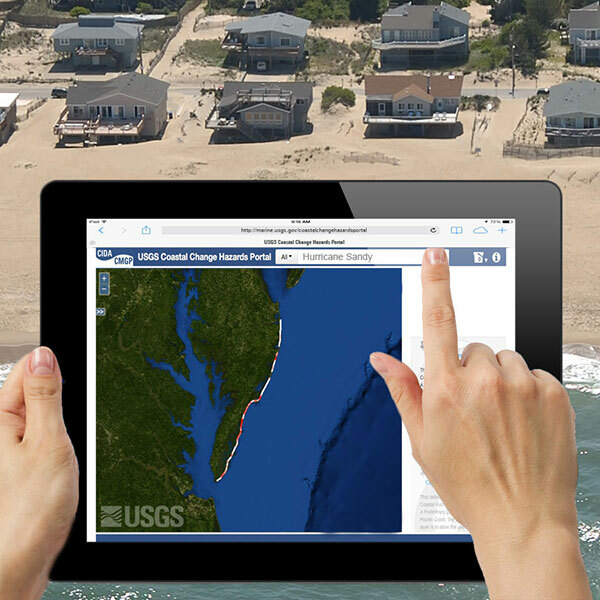 Through the Coastal Change Hazards Portal, the USGS provides web-based access to coastal hazards information and products that can assist those working to protect resources, identify risk, and help prevent economic losses along the Nation's shorelines. The portal provides direct access to real-time and scenario-based predictions of storm-induced coastal change, historical shoreline positions and rates of change, and sea-level rise vulnerabilities.